The blights of Aleppo stem from the old Turkish plans to annex it. 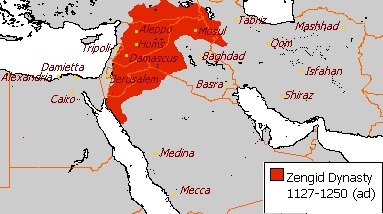 Aleppo was colonized since 1127 AD by the Oghuz Turk who created the Zengid dynasty. The northern hinterland of Aleppo was annexed to Turkey. In the 1940s it lost its main access to the sea, Antioch and Alexandretta, also to Turkey. In 1400, the Mongol-Turkic leader Tamerlane captured the city again from the Mamluks. He massacred many of the inhabitants, ordering the building of a tower of 20,000 skulls outside the city. After the withdrawal of the Mongols, all the Muslim population returned to Aleppo. On the other hand, Christians who left the city during the Mongol invasion, were unable to resettle back in their own quarter in the old town, a fact that led them to establish a new neighborhood in 1420, built at the northern suburbs of Aleppo outside the city walls, to become known as al-Jdeydeh quarter (for “new district” in Arabic). Aleppo became part of the Ottoman Empire in 1516, when the city had around 50,000 inhabitants. It was the center of the Aleppo Eyalet; the rest of what later became Syria was part of either the eyalets of Damascus, Tripoli, Sidon or Raqqa. Following the Ottoman provincial reform of 1864 Aleppo became the centre of the newly constituted Vilayet of Aleppo in 1866. Kemal Atatürk annexed most of the Province of Aleppo as well as Cilicia to Turkey in his War of Independence. By the Treaty of Lausanne most of the Province of Aleppo was made part of Turkey with the exception of Aleppo city and Alexandretta. The situation was exacerbated further in 1939 when Alexandretta was annexed to Turkey, thus depriving Aleppo of its main port of Iskenderun. All these are liberal legacies, and the Trump Movement must not fall into them. Non of these behavior can explain and solve the problems. People must think deeper into the history of religions and Islam. They will soon understand that what are called “Islam”, “Judaism”, and “Christianity” nowadays is nothing more than the Turkic religion of Tengrism. 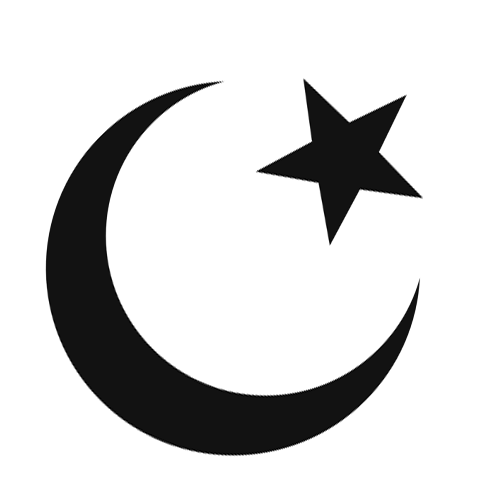 Take for example the symbols of star and crescent in current Islam or the events that created the Crusades, or the imperial expansion of the so-called “Islam”, or Andalusia, or terrorism, or slavery, or the Ottoman Empire, or belly dance, or harem, or the Assassins “Hashashin”, or Sufism, or the status of women and children, or even the practices of “Islam”, or the ruling families of Gulf sheikhdoms, or many more, they are just Turkic and NOT Islamic or even Arabic. Investigating the history of Islam, and all other religions, and the myth of universality of religion, anyone can discover that all religions, without exception, were born genuine and peaceful and very local, but they survived only for very short time. Humanity is living with corrupt versions of all religions, that were invented by greed and violence. While faith and religions are good, don’t think any one of the current religions is better or good, may be we can ask which one has lesser evil than the others. Let us find and fight the Turkic corruption in all religions. It is time now to liberate Aleppo from Turkish puppet terrorists and stop Turkic games. Trump Movement Leads Republican Democracy to Demolish the Myth of Liberal “Democracy”. 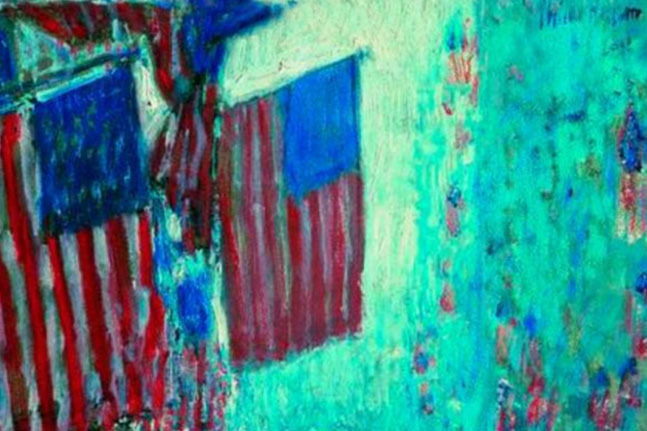 1- The marriage of democracy and liberalism is not inevitable, it is an illusion. 2- Liberalism is not democracy, they are not only distinct but even conflicting. 3- Liberalism does not imply Democracy, but only indicates globalism. 4- There are serious conflict of interests between Liberalism and Democracy. 5- Liberal “Democracy” is actually a mere capitalist globalism, and against national interests and security. 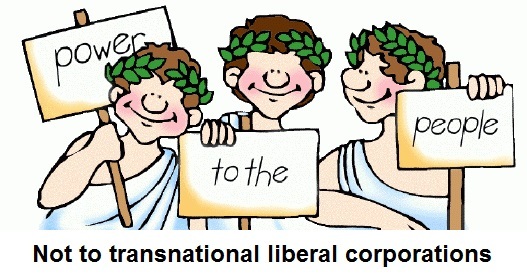 6- Liberalism is not at all about freedom of the people, it is only about the freedom of capital and transnational corporations. 7- The original authentic democracies were republicans, only the fake modern democracies are liberal. 8- The rise Liberalism goes hand in hand with the erosion of sovereignty and the rule of law. 9- Liberalism is soft aggression with strong expansionism, while Republicanism is hardworking with energetic patriotism. 10- Republicanism promotes national unity and international cooperation and in direct collision with Liberalism seeking globalist alliances and conflicts. The awesome win of Trump is the biggest blow to the “international liberal order” or the “Liberal Leviathan”. That is why they are deceiving peoples in the USA and the world by defaming President Elect Trump and using all sorts of lies, protests, and threats against him and his supporters. The “international liberal order” is purposely misinterpreting Trump’s stands on immigration, religion, sexuality, trade, national security, foreign relations, defense, health, taxation, environment, energy, and women. The “international liberal order” was not made by Americans and it was not made for Americans. It is made by foreign globalists for their own benefit. The USA and the rest of the world were abused and exploited by such greedy immoral order. By simply searching Google, or any other search engine, with “international liberal order” the results make it clearer why the awesome win of Trump is the greatest step in the right direction, not only for the USA, but also for Europe and the whole world. “In international relations, the liberal international economic order (LIEO) is the global free trade establishment. Critics sometimes refer to LIEO as the Washington Consensus, which implies that this system works mostly in the favor of the United States at the expense of smaller countries. LIEO is said to be shaped by supranational institutions. The World Trade Organization, for example, creates and implements free trade agreements, while the World Bank issues structural adjustment loans to Third World governments that include conditions ranging from opening up their markets to Western businesses to privatizing public utilities. Among the firmest underlying assumptions of free market thinking is that as regulations are removed, global trade becomes more efficient and peoples’ needs are better met, allegedly resulting in less poverty, and consequently, stability and peace. Critics point to rampant abuses of laborers and citizens in the Third World by multinational corporations, as well as the negative effects on public health caused by privatizing public utilities. Another criticism can be the dumping of metals and other wastes into the environment of such nations by corporations. This often effects local environmental health and peoples, most often by industrial facilities such as factories. “The world is entering a period where once-robust democracies have grown fragile. Now is the time to figure out where we went wrong. “HARDLY A day goes by without evidence that the liberal international order of the past seven decades is being eroded. China and Russia are attempting to fashion a world in their own illiberal image; Britain is debating a departure from the European Union; Austria’s front-running presidential contender espouses fear of migrants, trade and globalization; and far-right parties are thriving in Europe. 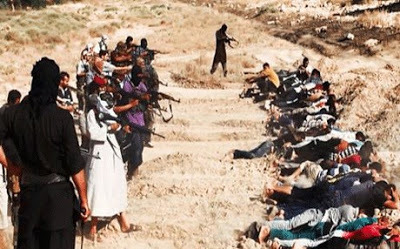 The radical Islamic State group wields merciless violence on its own lands in Iraq and Syria and exports terrorism beyond. In the United States, presumptive Republican presidential nominee Donald Trump has attracted millions of voters by campaigning against some of the foundations of American leadership in the world such as the defense alliance with Japan and South Korea ….”. Liberal Leviathan: The Origins, Crisis, and Transformation of the American World Order, G. John Ikenberry (Princeton, N.J.: Princeton University Press, 2011). No doubt that Trump represents a Transatlantic movement and aspirations that are well received internationally and that will serve America and the world against the “international liberal order”. Why Arabs Did Not Use Arabic Alphabet to Record the Holy Quran? 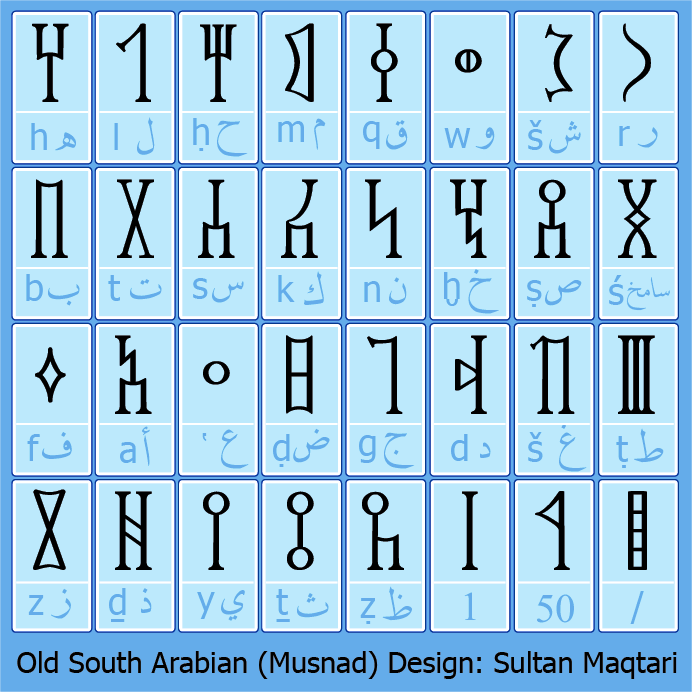 [The ancient Yemeni alphabet (Old South Arabian ms3nd; modern Arabic: المُسنَد‎‎ musnad) branched from the Proto-Sinaitic alphabet in about the 9th century BC. It was used for writing the Old South Arabian languages of the Sabaic, Qatabanic, Hadramautic, Minaic (or Madhabic), Himyaritic, and Ge’ez in Dʿmt. 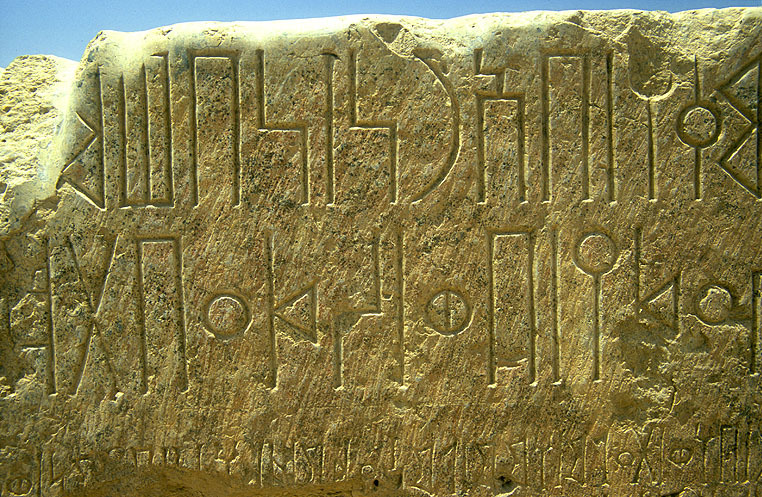 The earliest inscriptions in the alphabet date to the 9th century BC in Akkele Guzay, Eritrea. There are no vowels, instead using the mater lectionis to mark them. Its mature form was reached around 500 BC, and its use continued until the 6th century AD, including Old North Arabian inscriptions in variants of the alphabet, when it was displaced by the Arabic alphabet. In Ethiopia and Eritrea it evolved later into the Ge’ez alphabet, which, with added symbols throughout the centuries, has been used to write Amharic, Tigrinya and Tigre, as well as other languages (including various Semitic, Cushitic, and Nilo-Saharan languages)]. The Ancient South Arabian script was very developed and in wide use. So, Why Arabs Did Not Use Arabic Alphabet to Record the Holy Quran? and instead somehow someone developed a new alphabet borrowed from the Nabataean alphabet which was primitive and foreign. The Arabs of Southern Arabia converted to Islam very easily and peacefully and they were strong sincere supporters of the prophet (pbuh) contrary to the people of Hijaz and the rest of Arabia. But, after the death of the prophet during Rashidun Caliphate and the Umayyad state the Quran was collected and written. The Umayyad regime was founded by Muawiya ibn Abi Sufyan, long-time governor of Syria, after the end of the First Muslim Civil War in 661 CE/41 AH. Syria remained the Umayyads’ main power base thereafter, and Damascus was their capital. The Umayyads continued the Muslim conquests, incorporating the Caucasus, Transoxiana, Sindh, the Maghreb and the Iberian Peninsula (Al-Andalus) into the Muslim world. The earlier Turkic settlers in Northern Arabia must have played crucial role during that period that resulted in the demise of ancient South Arabian culture and influencing the creation of new form of religion based on aggressive expansionism and Turkic traditions. The Arabs wrote before Islam, since the ninth century BC to the seventh century AD, 60 years after Islam. This is their ancient alphabet. The next image is of ancient Arabic rock scripts in Arabia. 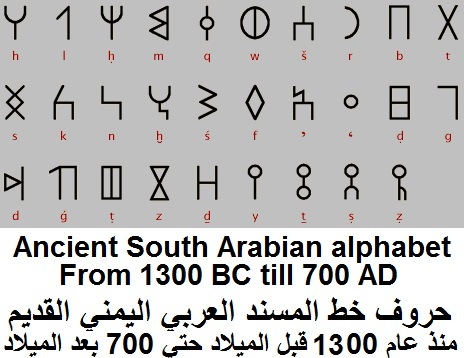 This how the Southern Arabs used to write for more than a thousand year, now this people are called “Extinct” Arabs, for no good reason, and they were replaced by the so-called Pure Arabs (or Qahtanites) and Arabized Arabs (or Adnanites). A fictitious grouping and classification during the Umayyad period. 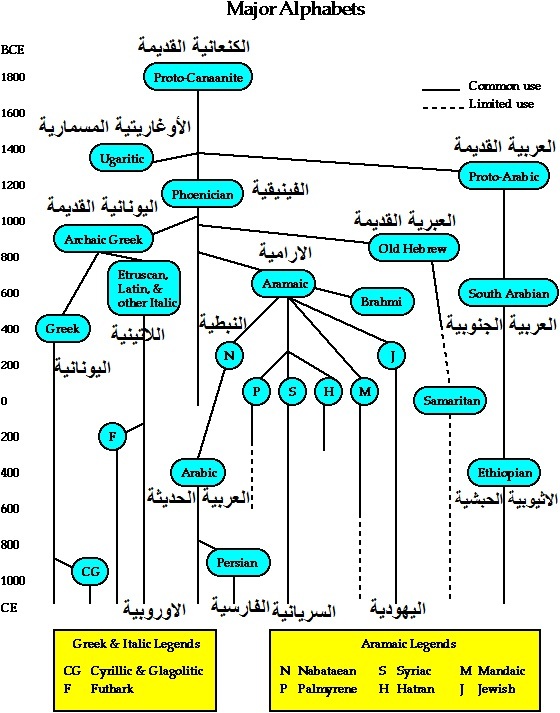 This is a major alphabets tree map showing that modern Arabic is not of Arabic origin. Should the Holy Quran had been written in original Arabic it would have used the Ancient South Arabian alphabet that existed since 1300 BC until 60 years after Islam and was extinct in 700 AD in Arabia, but it is still developed in Ethiopia and Eritrea now. The present Arabs, Arabic language, and Islam are NOT the true Arabs, Arabic language, and Islam. That is why they are fighting and terrorizing in many countries. What we have today are Turkic versions of Arabs, Arabic language, and Islam. This history is exactly what links the rulers of the so-called Arabs in Arabia, particularly Saudi Arabia, Qatar, Bahrain, Jordan, Palestine, and Kuwait, with the Turkmen in Syria, Lebanon, and Iraq together with Turkey in supporting terrorism against the peoples of Syria, Iraq, Lebanon, Libya, and more remarkable against the truly Arab Yemen. The reasons for the flaring civil wars and terrorism in Syria, Iraq, Yemen and Libya; as well as those expected in Lebanon, Egypt, Saudi Arabia, Bahrain, Sudan, Algeria, Mauritania, and Morocco are very clear. 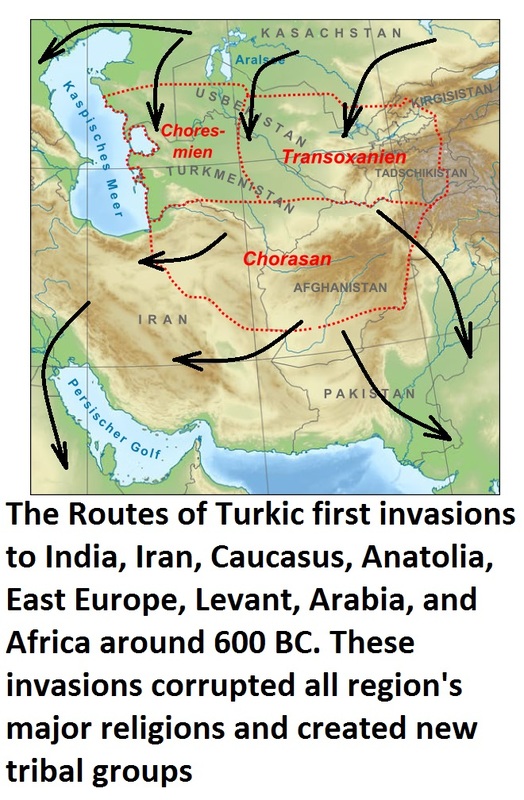 They are closely linked to a 600-years-old Turkic ploy of fictitious grouping of the Arabs into “Extinct” Arabs, Pure Arabs (or Qahtanites) and Arabized Arabs (or Adnanites), as well as the history of Turkic migrations into Arabia and Africa, and the rise of Turkmen in the Umayyad dynasty and beyond. Pure Arabs (or Qahtanites) and Arabized Arabs (or Adnanites) invented militant Islam and colonized vast lands in Asia, Africa, Andalusia, and Eastern Europe. The “Extinct” Arabs are not extinct at all, and they exist now all over Arabia, and more obviously in Yemen and Oman. All these wars are between Turkic Arabs who claim to be Pure Arabs (or Qahtanites) and Arabized Arabs (or Adnanites) against indigenous local nation whether genuine Arabs or non-Arab groups. Both indigenous Arabs, like in Yemen and Bahrain; and non-Arab, like in Africa and Levantine, are subjected to the dominance and consequences of aggressive support from Turkic Arabs Turks and Turkey. Such conflicts are much bigger than the capacity of the Turkic Arabs and Turkey. They would not be able to continue or win it, and the inevitable result of these conflicts will be either prevalence of indigenous groups or surrender Turkic Arabs to the demands of integration and assimilation. It shall result in disappearance of aggressive Turkic Arabs from social political realm, and demise of the myth of “Extinct” Arabs, Pure Arabs (or Qahtanites), and Arabized Arabs (or Adnanites).